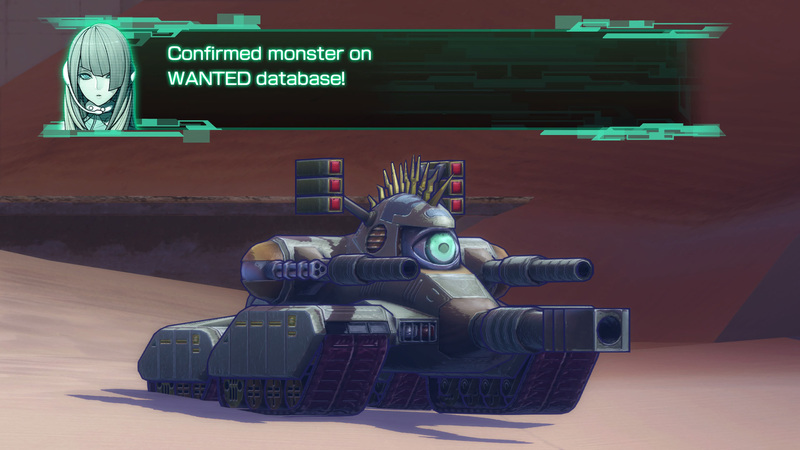 It wouldn’t be too much of a stretch to call Metal Max Xeno a JRPG twist on Mad Max. It shares a lot of superficial similarities—the post-apocalyptic desert setting, the focus on vehicular combat, and the Metal Max title—but it connects with the iconic film series on a deeper level, too. Mad Max has fascination with the tribal social politics of a lawless dystopia and stories of revenge and redemption; so to does Metal Max Xeno, but it approaches them through an archetypal JRPG setup. Metal Max Xeno takes place in 209X, in a desert wasteland where Tokyo once sat. In “Dystokio”, as it’s come to be known, humanity is thought to be extinct, but a handful of survivors cling to life. Once such survivor is Talis, a brooding young man who’s sole goal in life is to wipe out every last one of the mechanical monsters responsible humankind’s annihilation, after they took from him everyone he loved. Related reading: It must be Tank Week! Valkyria Chronicles 4, another tank-focused JRPG—though a very different one—is also out this week. Read our review. His journey brings him to the Iron Base, one of the last safe places in Dystokio. There, he meets a few other survivors, and finds a way to channel is desire for revenge: as a monster hunter. Behind the wheel of his tank, the Scarlet Revenger, Talis ventures out in search of any remaining survivors, and to tear down any monsters he finds along the way. The result is a game with large stretches of lonely travelling across the remains of the city. 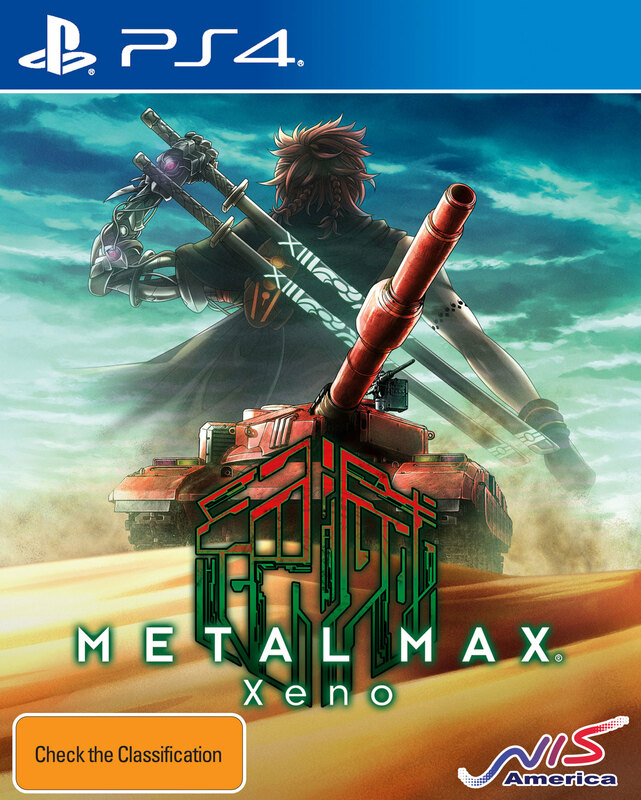 Metal Max Xeno isn’t an open-world game, but it does feature large expanses of desert, dotted with the crumbling remains of buildings and roads, and with the plentiful monsters as your only company. It’s empty, but rightly so—it’s a wasteland, after all—and it constantly serves to reinforce the sense of destruction and loss. After some searching, Talis eventually manages to find a few more survivors, and together, they start to piece together the mystery of the near-extinction of people in Dystokio. It’s a story of unchecked corporate greed and technology run rampant; of humanity’s desire for survival and the tribal conflicts that always seem to come with that; and of one small group’s ability to come together for a purpose bigger than themselves. It’s also a story that, for better or worse, runs the gamut of JRPG tropes. Talis himself is the epitome of the “edgy” anti-hero that was so popular in the early 2000s, and he’s surrounded by the cheerful if naive youngster, the hot-tempered villain-turned-ally, the pure and innocent love interest, the sultry (and inexplicably lingerie-clad) warrior woman, and the mysterious academic. 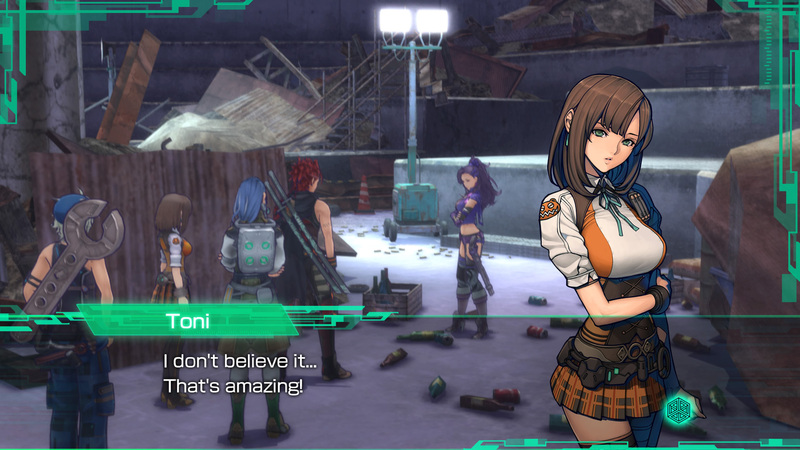 Individually, none of these characters really stands out or transcends their cliches, and how much you get out of Metal Max Xeno‘s storytelling will depend on how much you can endure or enjoy those tropes. But together, they’re a way to explore all those ideas at the heart of the Mad Max films that are such a clear inspiration for Metal Max, even if they can be a bit clumsy in the delivery. As I said, much of your time in Metal Max Xeno is spent travelling by tank across the wasteland, or walking through the winding networks of an old underground city that was once seen as the human race’s salvation. On foot, combat plays out in a fairly typical turn-based fashion: you choose your party members’ attacks from a menu, the enemy chooses theirs, and then those all unfold before moving onto the next turn. However, rather than playing out one at a time, everyone’s attacks come out at once; the mostly just means that battles are quicker than they would be otherwise, but on rare occasions, there’s the helpful (or harmful) effect of a slow attack getting interrupted before it can have its effect. Tank battles add a few extra wrinkles that make things far more interesting. While riding a tank, characters can still use their human abilities, but doing so means disembarking their ride for a turn. The enemies you fight by tank are far more powerful than those you fight on foot, so making a character vulnerable like that puts them at risk of getting one-shotted. At the same time, the skills available to you by doing so are very useful—such things as restoring damaged parts and buffing the team. Furthermore, health works slightly differently for tanks. Shield Points (SP) work much the same as HP does for a human character, except that running down to 0 doesn’t mean death. Rather, running out of SP means a tank’s shields are down, and any subsequent attack it sustains has a chance of damage parts. If weapons get damaged, you won’t be able to use them any longer, and if the engine gets damage, the tank is “destroyed” until you return to the Iron Base. Once again, risk and reward plays a big role, and that keeps things exciting even when you’ve fought a thousand battles. 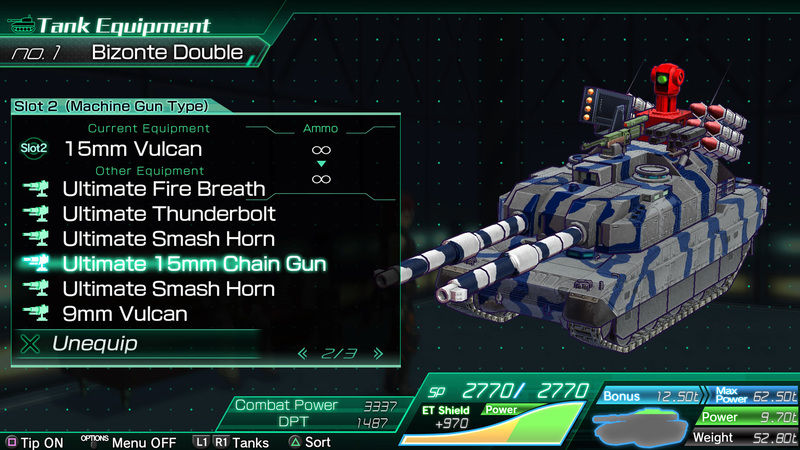 Combat is only part of the equation, though; Metal Max Xeno has a handful of systems for customising your tanks. There’s a wide range of different parts—which function much the same as equipment for human characters—that can be found and crafted, with a wide range of different effects. You can modify these parts to further tweak the benefits, and rare, powerful Nephtech weapons have hidden potential that you unlock by meeting certain requirements. You can also repaint your tanks, and although it’s purely superficial, it’s a nice touch. A simple job system allows you to customize your human party to some extent as well, though with just six jobs, the options are far more limited. The “Road to Ace” system, on the other hand, offers a lot more freedom: by meeting certain milestones in gameplay (“Kill 100 enemies”, “Craft your first cannon”, etc.) you get Ace points, which you can then put towards stat increases. The stat boosts themselves are nothing new, but obtaining through what is, effectively, an in-game achievement system is neat. 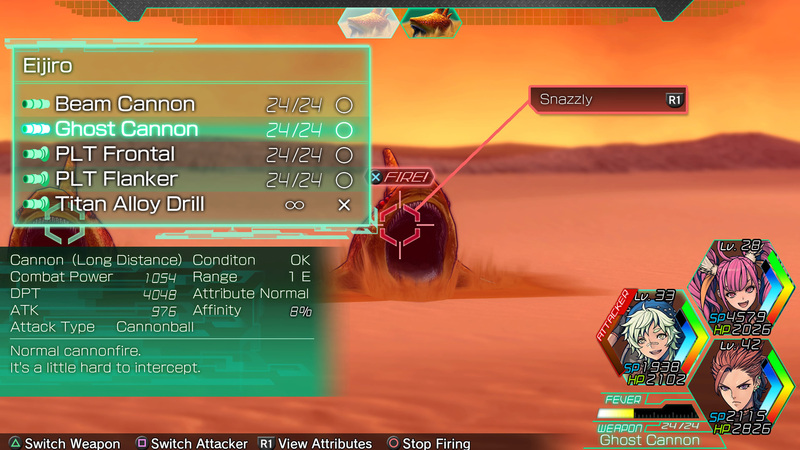 However, Metal Max Xeno doesn’t make it easy to get the most out of its various systems. The tutorials in the game are not nearly as detailed as they need to be, and I’m still not entirely sure of the specific effects of different stats—something that you’d want to know about if you’re engaging in the sort of min-maxing that the game’s customisation systems encourage. On top of that, the game puts far too much weight on grinding. Even when fighting every enemy I came across (and then some) on my way through each new zone, and even with the best equipment available at the time, I don’t think there’s a single boss that I was able to take down without at least grinding out a few more levels. I quite like grinding in RPGs, when I can do it on my own terms and in my own time, but it’s annoying to get constantly stalled when I just want to see the story through. The quality of the English localisation leaves something to be desired, too. Much of that is, presumably, the result of some sort of technical limitations with the way the text was coded in the original Japanese version, like weird instances of text wrapping across three lines with just two or three words per line—barely enough to fill a single line, if it were laid out as such. Text entry fields for tank names is limited to just seven characters, which is fine for Japanese text but far from sufficient for English, and the default names just seem to get truncated: a tank known as “Tyke-oon” gets reduced to “Tyke-oo”, even though “Tykeoon” would fit. Then there’s the dialogue itself, which lacks any of the sort of personality I’ve come to expect from NIS America localisations, and could do with another proof-reading pass. 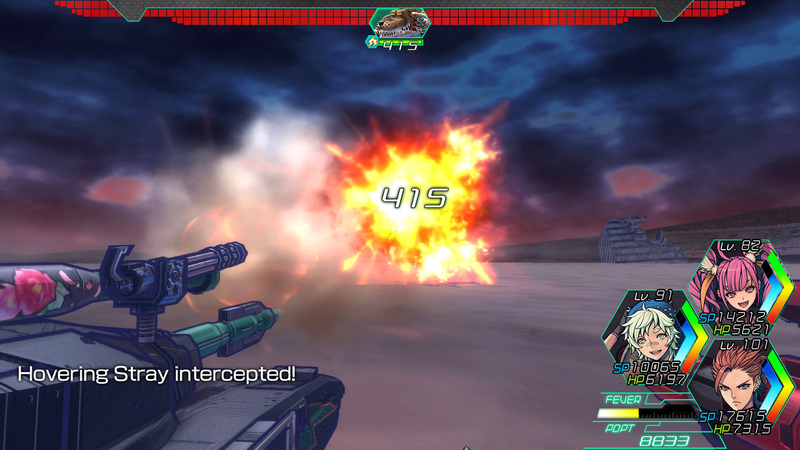 Between those frustrations and the cliched nature of some narrative elements, Metal Max Xeno isn’t likely to be a game that appeals anyone beyond the most dedicated fans of the genre. But for people within that niche, this is a game with a lot to offer—not least of all, a JRPG spin on the ideas at the heart of Mad Max.